Getting married on the beach with the noise of the waves and the calm climate is the desire of many brides, especially those who love the summer or who already live in front of the sea. Nowadays, the traditional wedding in the church has been a thing of the past, since the fashion is now getting married on the beach, mainly because here in Brazil the coastal landscapes are breathtaking. Although it is still a very new practice, it is common for the newlyweds to have doubts about this type of wedding, especially the bride’s dress. What to wear in a beach wedding? It is deceiving who thinks that the wedding on the beach is simple, on the contrary, the wedding on the beach requires a kind of dress code . In comparison to traditional ceremonies held in churches and party halls, beach wedding is much simplified, but some rules and care must be followed. Check out some important guidelines when choosing wedding dress for beach wedding, know the models that can and can not, to make this moment the most special of your life. Tip: See also our article on colored dresses for brides . A very important factor is defining what style your wedding ceremony will be. There are two types of beach wedding, those where the bride and groom are literally standing on the sand, usually on this occasion the wedding is held in front of the beach. And the other type is the wedding held in party rooms that are located by the sea, ideal for those who want a more elegant and refined ceremony. In the wedding where the bride and groom are left with their feet in the sand, it is necessary to completely abolish high heels and choose models of more fluid and smaller wedding dresses, leaving the long ones aside so that the bride is not worried about the wind and sand. Already at weddings in seaside party halls, heels are allowed, as well as long wedding dresses with tails. For the seaside weddings held during the day and with high temperatures, the best option are the even more airy models for the bride not to suffer from the heat. During the night on the coolest days, the bride could invest in something to cover her shoulders, such as boleros and lace coats, for example. If your wedding ceremony is held in the daytime, you should keep in mind that the contact with nature suggests something more informative and simple, but without leaving the charm aside. 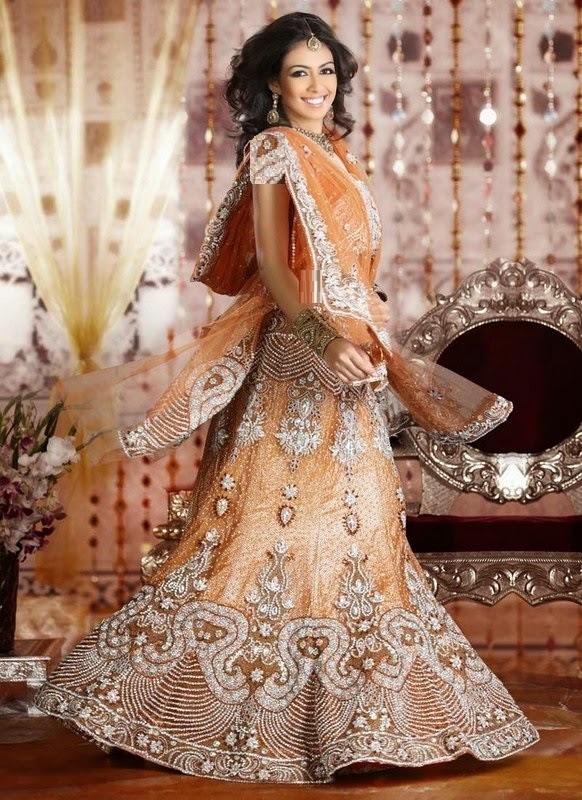 So try to avoid wedding dresses with long and exaggerated tails, but also sparkles and excess embroidery. On this occasion, formal productions, with sparkles and extravagant details, should be dispensed with. In a seaside wedding, dressed in pearl embroidery, tinted stones and mostly lace-trimmed or lace-trimmed, fit perfectly with the occasion. In addition, wedding dresses on the beach can contain details such as fabric flowers and sides, because they harmonize perfectly with informal environments chosen by the bride and groom. In relation to length, the ideal is that the bride opts for short dresses or longues, but nothing prevents the bride from wearing a long dress as well. And before anything else, know your body and choose a model that conforms to it. Among bridal preferences for wedding on the beach, wedding dresses with waist marked, will take that fall , asymmetrical neckline and neckline shoulder to shoulder are most desired, especially if you are romantic. In the details, dress up in bridal gowns with lace details or layered fabrics on the bias, as well as satin ribbons in skirts and draped details to make the wedding dress even more charming and suitable for your chosen environment. The wedding on the beach asks for dresses in soft and clear colors to bring a touch of freshness and tranquility to the look of the bride. White is still the brides’ first choice. An important tip is to avoid dresses with long tails, for sure the bride will not feel comfortable with such a model. If the evening likes tails, the suggestion is to opt for “mullets” wedding dresses which is a super trend this season. The mullet dress is characterized by being short at the front and long at the back. These gowns offer a bold look to the bride, as well as being a great choice for indecisive brides whether they prefer short or long models. For brides who want to dare on their wedding day, however subtly, a great alternative is to invest in dresses with deep necklines on the back . The model is trendiest for wedding dresses 2012, in addition to being perfect for brides who want a sexier and sweeter dress model to tear down on the important day of their life.